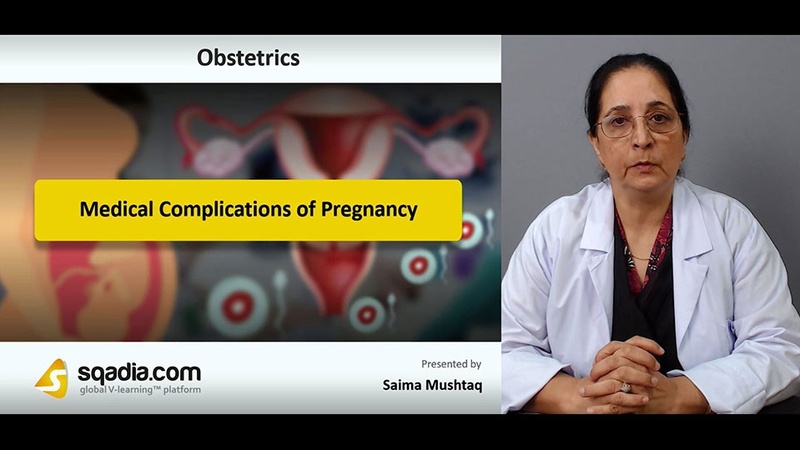 This lecture aims at the apprehension of the Medical Complications of Pregnancy. Section one concentrates on the Respiratory Diseases. In the beginning, the educator has shed light on the Respiratory Diseases. Following this, Pneumonia Warning Signs has been conversed about. Moving ahead, Asthma along with the Features of Severe Life-threatening Asthma have been brought into conversation. In addition to this, Management of Asthma in Pregnancy and another ailment termed as Cystic Fibrosis has been presented. In the end, the educator has summed up by mentioning about the Management ways. Section two accentuates Haematological Abnormalities. Amongst these blood disorders, Sickle Cell Anaemia has been elucidated in the start. Subsequently, Management of Sickle Cell Crisis in Pregnancy and Thalassaemia has been recounted. Furthermore, Thrombocytopenia together with the Causes of Thrombocytopenia in Pregnancy has been explicated. Next in line, Differential Diagnosis of Thrombocytopenia in Pregnancy and Bleeding Disorders during Pregnancy and Delivery have been expounded. Conclusively, Inherited Coagulation Disorders has been delineated. 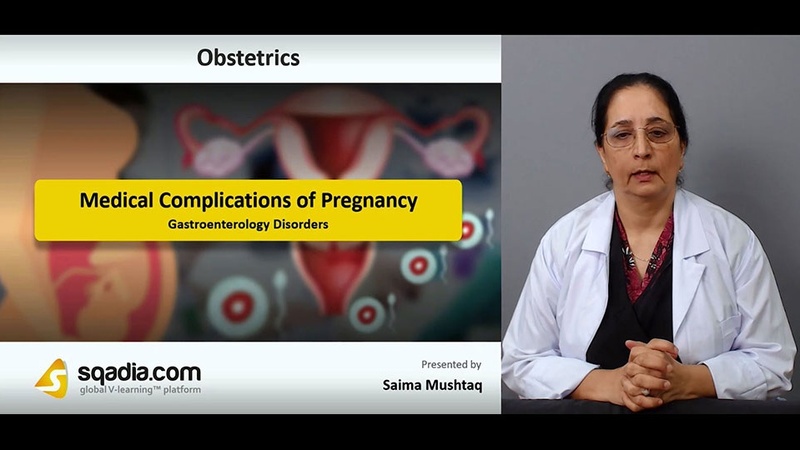 Section three focuses on the Gastroenterology Disorders. Initially, Peptic Ulcer Disease and Coeliac Disease has been broadly illustrated. Succeeding this, Inflammatory Bowel Disease has been reported. In the end, the educator winded up by stating about the Pancreatitis which is the inflammation of pancreas. Section four accommodates the Liver Diseases. First and foremost, Liver Disease has been conferred. Along with this, Viral Hepatitis has been comprehensively elucidated. Likewise, Autoimmune Hepatitis and Gallstones have been narrated. 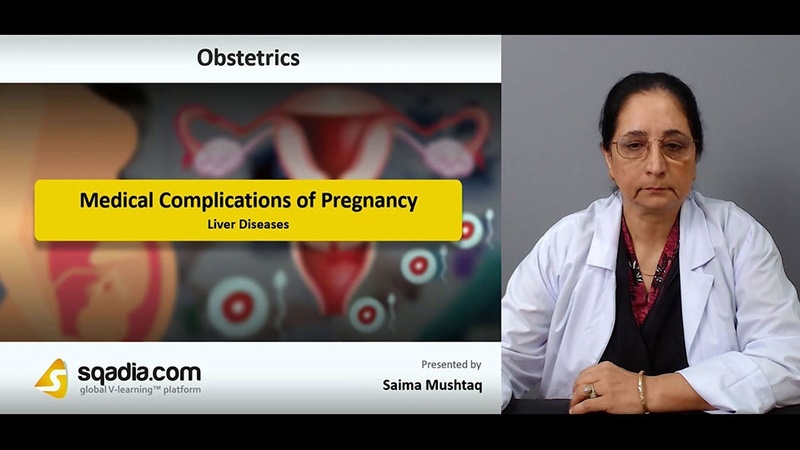 In the end, the section concluded by a reference of Primary Biliary Cirrhosis and Cirrhosis. Section five underlines on the Skin and Connective Tissue Diseases. The educator started off by alluding to a malady called Systemic Lupus Erythematosus. This is proceeded by a debate over Differentiation of SLE Flare from Pre-eclampsia in addition to Scleroderma and Physiological Changes in Skin during Pregnancy. In the end, the educator has wrapped up by referring to the Pre-Existing Skin Disease besides the Specific Dermatoses of Pregnancy.